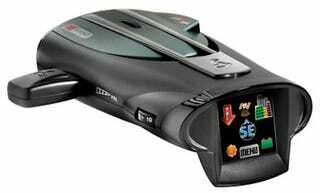 Cobra Electronics has expanded its line of radar detectors with the world's first touchscreen models, which will let you know of upcoming radar and speed cameras. They've also got the first model for under $200, which unfortch isn't touchscreen. The two touchscreen models, the XRS 9970G and XRS 9965 have 1.5-inch color interfaces. The former also works with Cobra's AURA Camera Driving Hazard Database and has IntelliView Pro which displays a pictorial alert with the speed you're traveling at. They'll be under $379.95 in price when they go on sale in March.